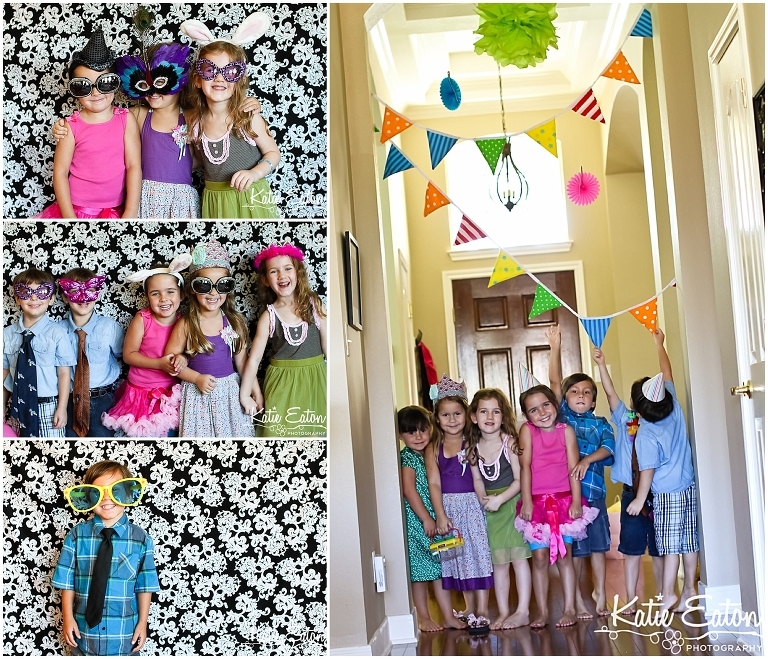 Oh how I love simple little parties. I can’t say it enough … love love love it. Sabrina has been talking about her party for months! 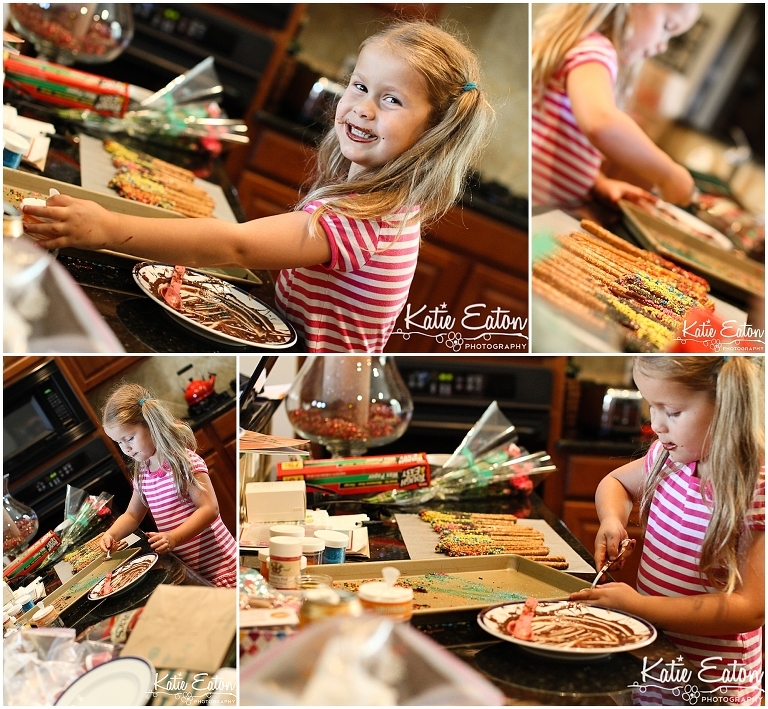 But it wasn’t until a few weeks before that she finally decided on cake decorating … and when we went shopping, I threw out ideas for food and she took some of them and made them her own. 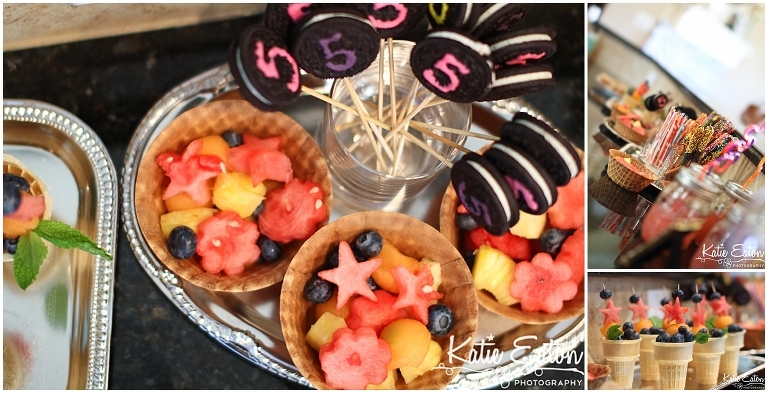 For example, I suggested oreos … and she suggested putting them on sticks and painting the number five. I suggested pretzels and she suggested making them chocolate with sprinkles. We also filled ice cream cups with fruit that Sabrina cut into shapes with cookie cutters and drank pink lemonade out of jar glasses with funny straws. And it went on and on. It’s funny how creative kids can be if you let them take over!